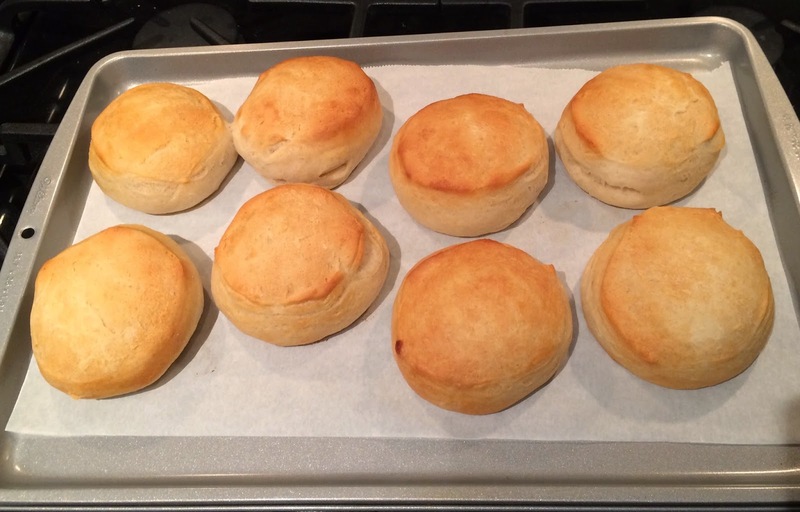 I was craving biscuits but not scones, so I went to supermarket to buy pre-made dough from Pillsbury. 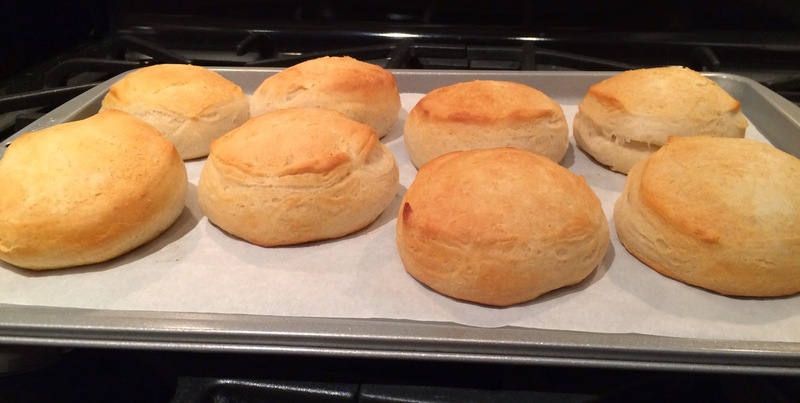 I had never had the refrigerated biscuit dough in my life, so I was excited to try one. 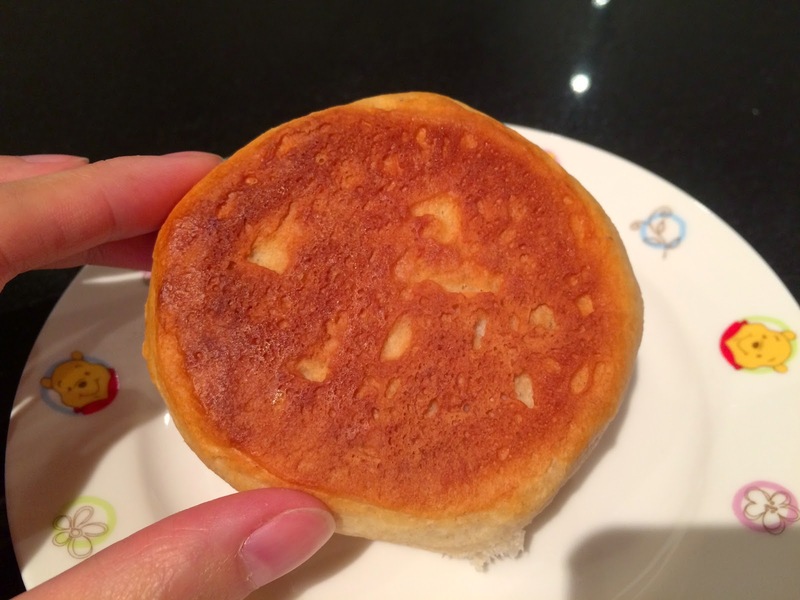 There're several kinds like Original, Buttermilk, and Honey Butter, but to see the taste, I got Original but Reduced Fat as it's about 2/3 of the Original. 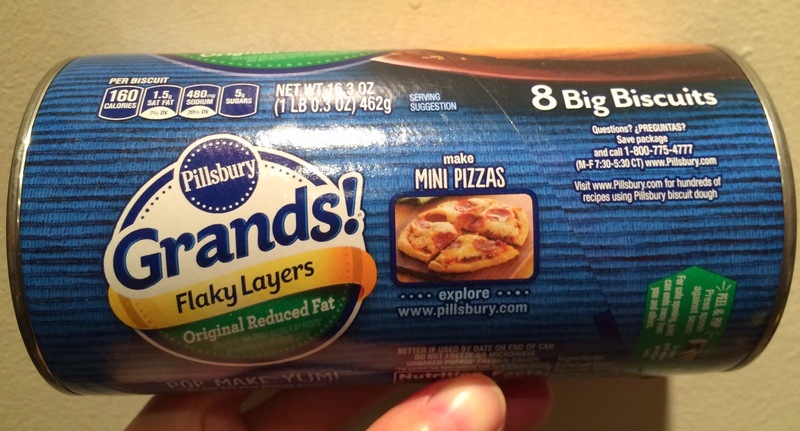 The package says there're 8 big biscuits and suggested recipe; mini pizzas. I followed the direction on the side and preheated the oven to 350F (177C) degrees. First, I had to peel off the entire wrapper from a tiny cut section. 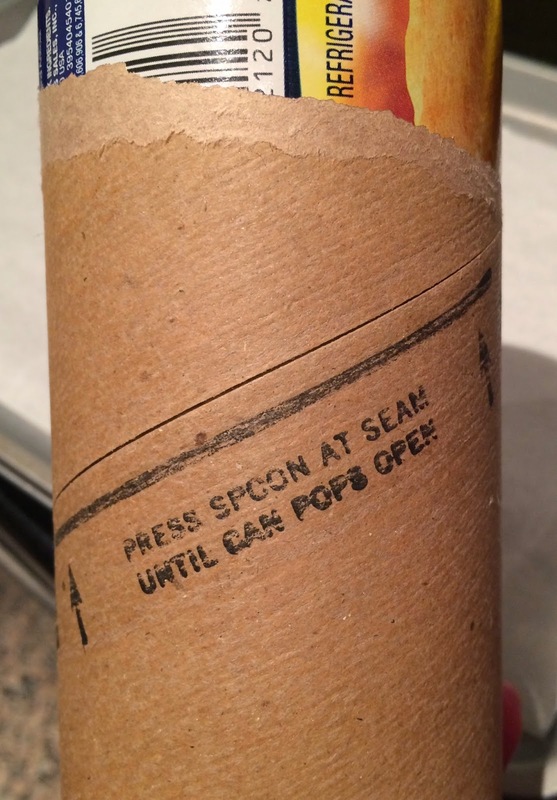 Underneath the blue paper, there's a brown paper wrap. 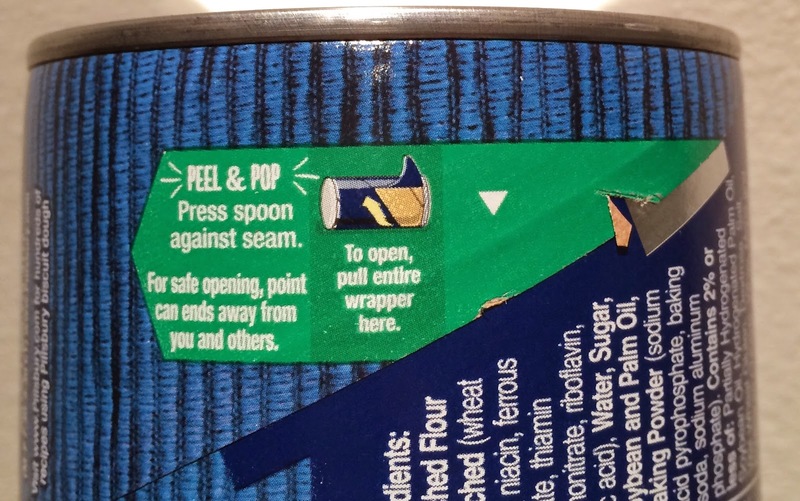 Following the note, I pressed the seam to pop the package. The popping sound wasn't anything cute but "BANG!" and I was really surprised. 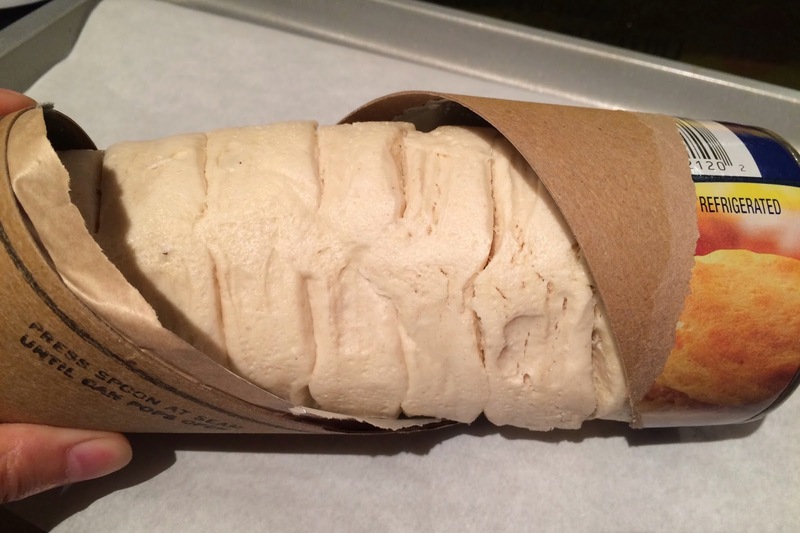 There's a huge white dough inside and with seams, it looked like a gigantic worm. See? It's like an Ohmu from Nausicaä. The dough was very sticky but it's not that hard to separate the dough. 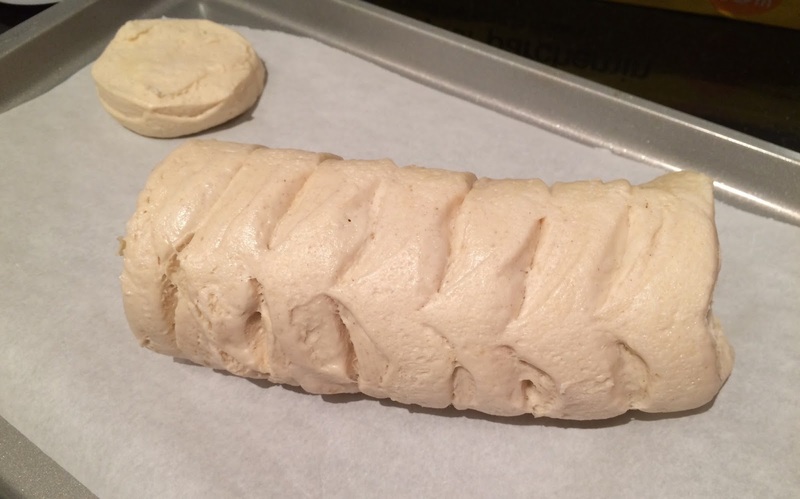 The direction said to place the dough on ungreased cookie sheet but I like using parchment paper instead of putting them directly on the sheet, so I placed one layer of parchment paper. I was supposed to these 1-2 inch (2.43 - 5cm), but I actually only had about 1 inch apart in-between due to the size of the cookie sheet. 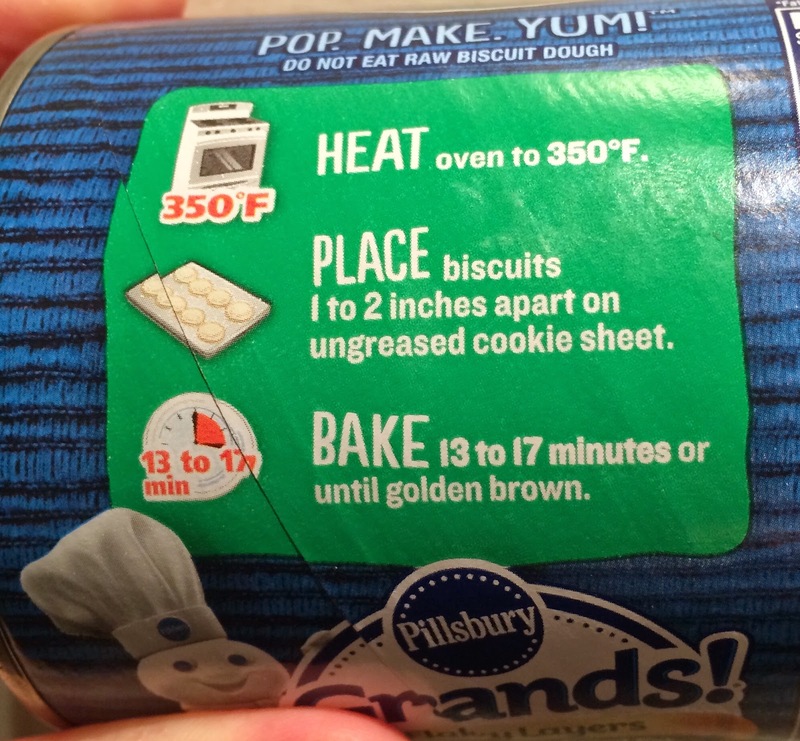 The baking time was 13-17 minutes, so I set the oven for the shortest 13 minutes, then took them out to check the color, then added another 3 minutes. Only 2 pieces were touching each other, but others were completely apart. They all evenly rose tall and had golden color. 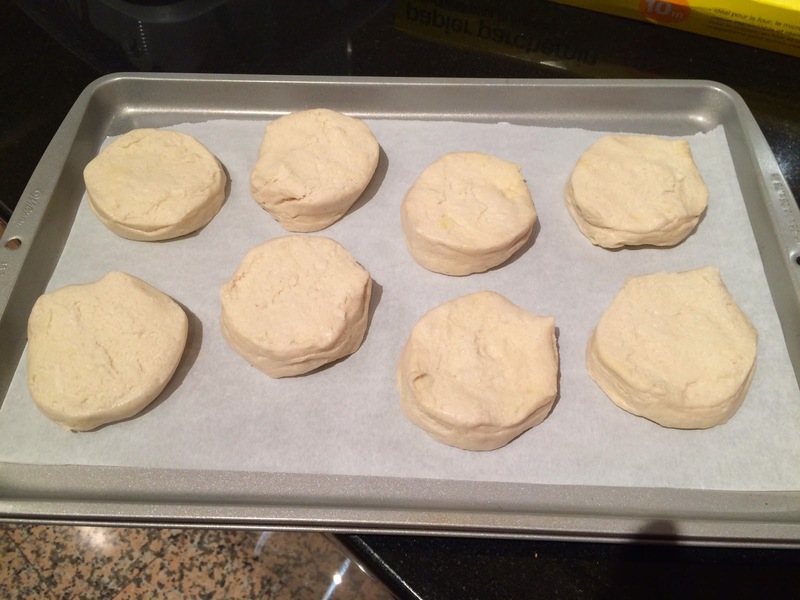 The surface was flaky and dried, and I could see some cracks on the side that were created when the dough rose. 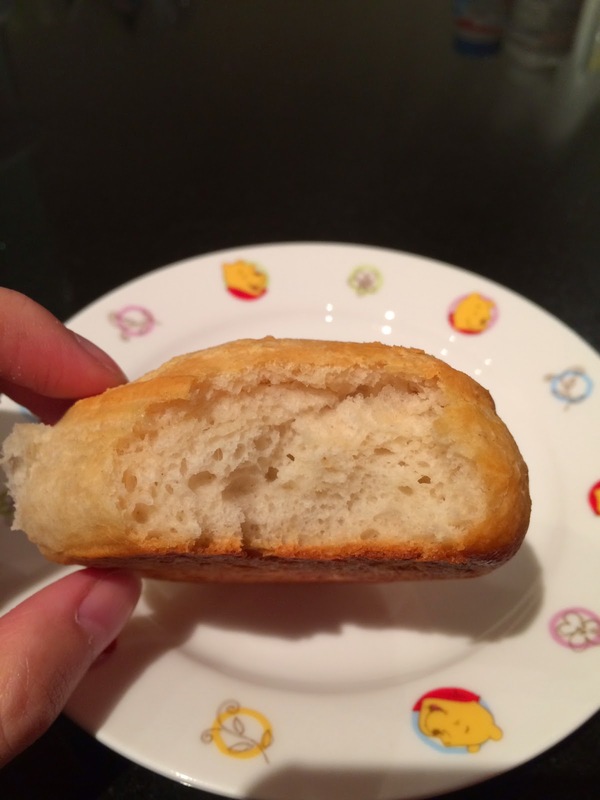 The bottom had the crispiest and the most buttery flavor. 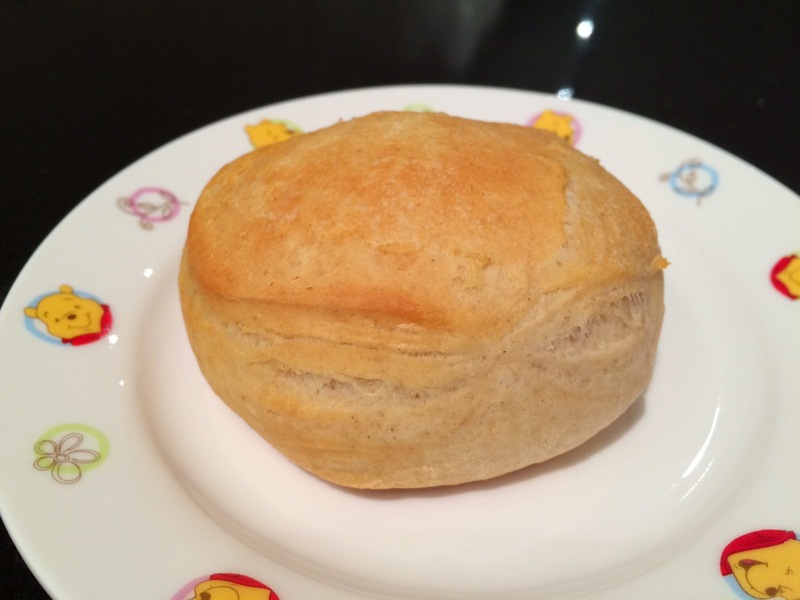 As it looked and felt, the surface was dry and flaky, and the inside was very fluffy. Though, it's extremely salty while I was thinking it'd have more buttery flavor, and all I tasted was salt. 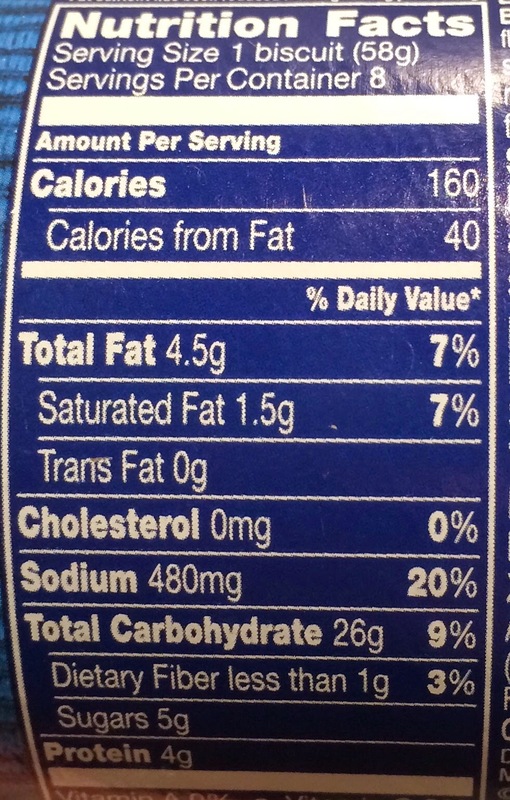 I though it'd have less grease on the surface, especially at the bottom, since it's labeled as "Reduced Fat," but my fingers got oily. Though it's salty, the texture was really good and satisfied my hunger. I just saw that they also have Corn Biscuit, and I gotta try that one with a big expectation to be much less salty. 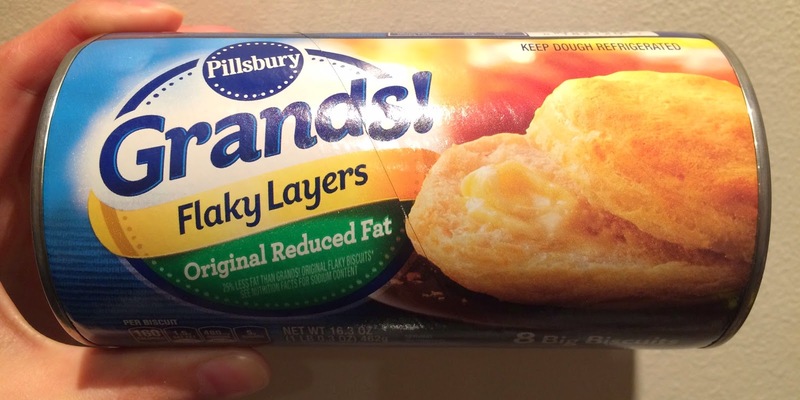 Other Pillsbury products I've reviewed.